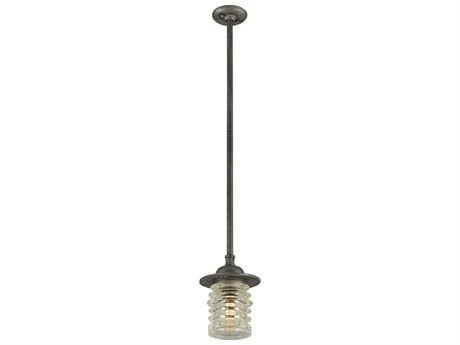 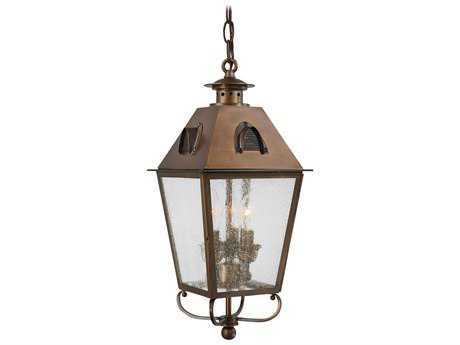 Outdoor hanging lights refer to ceiling lighting that is not flush mounted or semi-flush mounted to a ceiling surface. 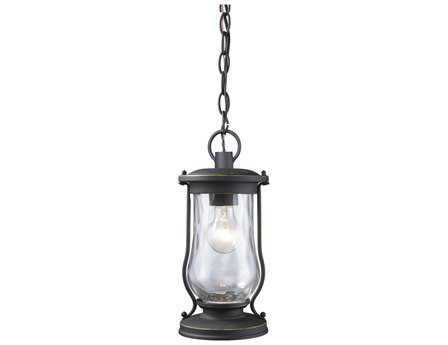 Instead, hanging outdoor lights cast overhead illumination suspended from a rod or chain that hangs at least four inches in height. 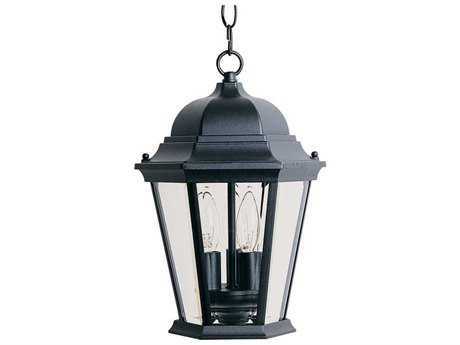 Outdoor hanging lights are ideal for a variety of settings, providing general, task, or decorative lighting depending on your outdoor setting. 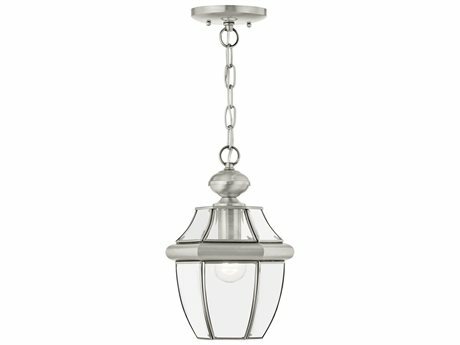 Hanging lights outdoors provides adequate brightness and illumination to expansive outdoor areas, with a decorative flair that is incomparable to flush mount or semi-flush ceiling light alternatives. 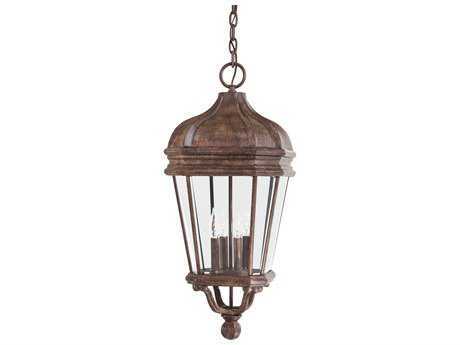 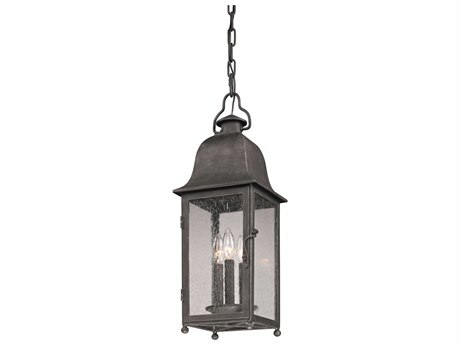 Because outdoor hanging lights must be suspended from a ceiling surface, these types of fixtures are used in enclosed outdoor spaces such as covered porticos, patios, and gazebos. 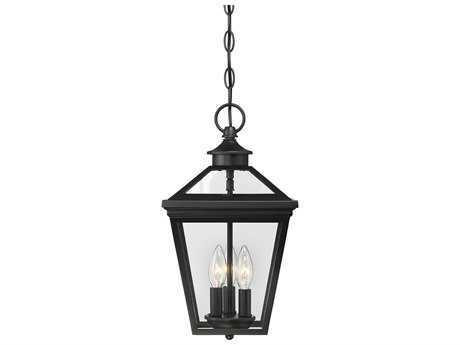 Whether you seek to add decorative illumination that is modern or traditional in style, PatioLiving offers hundreds of options to select from that feature weather-resistant construction so that outside hanging lights from PatioLiving will last season after season. 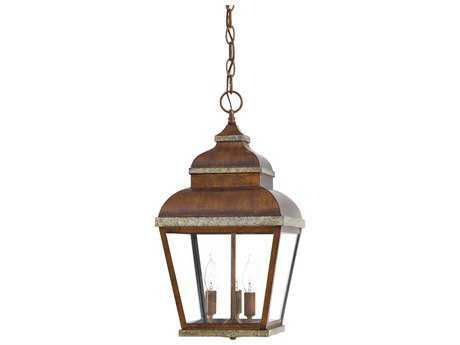 At PatioLiving, there are hundreds of options to select over in all types, sizes, and styles to complement any outdoor setting. 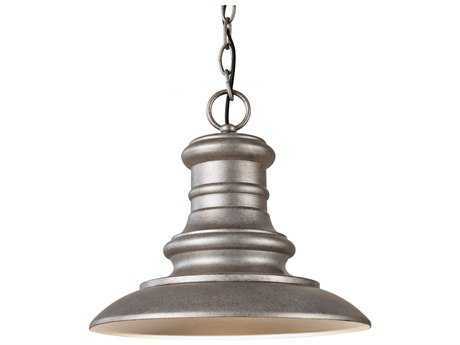 Hanging light models can vary greatly depending on style but typically feature a rod or chain, fitter, and light canopy that can be easily installed to a ceiling surface. 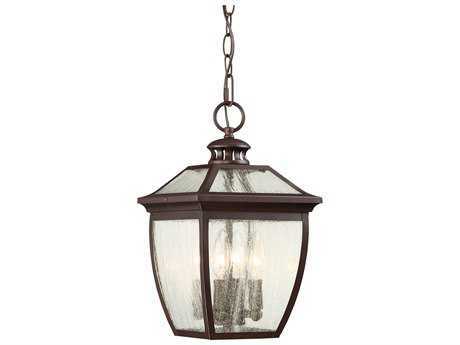 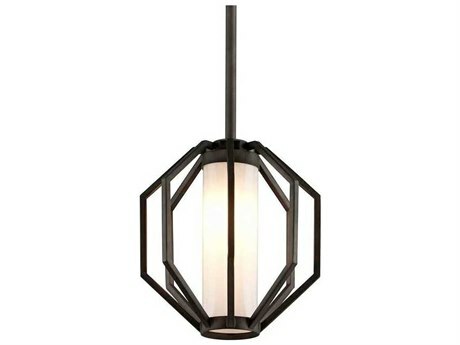 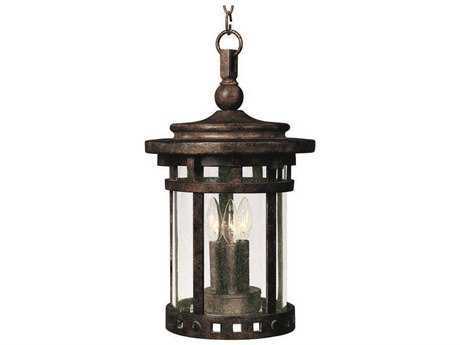 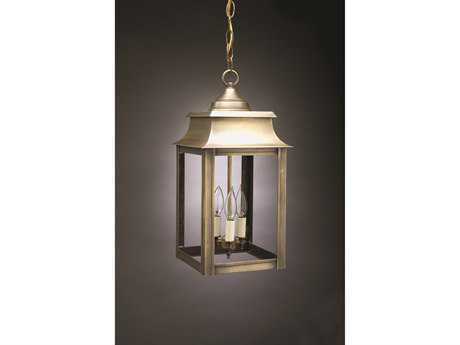 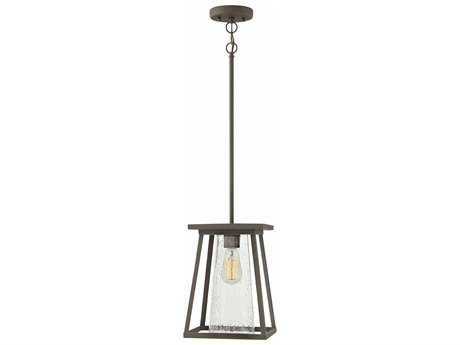 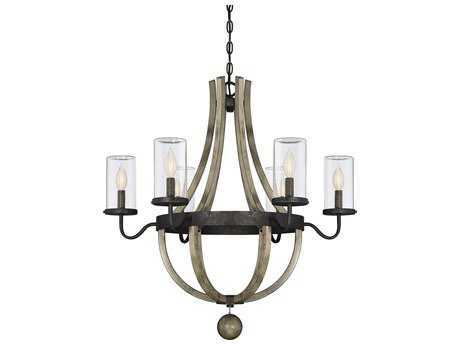 Styles range modern, sleek models that add a distinguished look to an outdoor patio, to exterior pendant lights that carry a more rustic edge that is perfect for traditional outdoor settings. 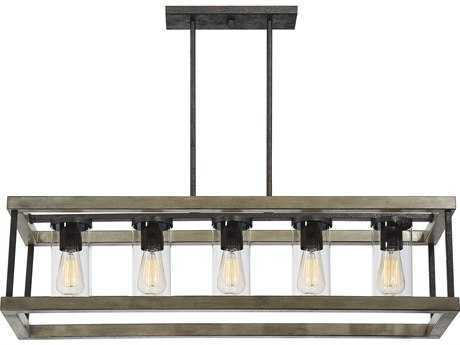 Hanging overhead lights can also vary greatly in size to suit any size space, including petite one-light models, to larger models that feature four or more lights. 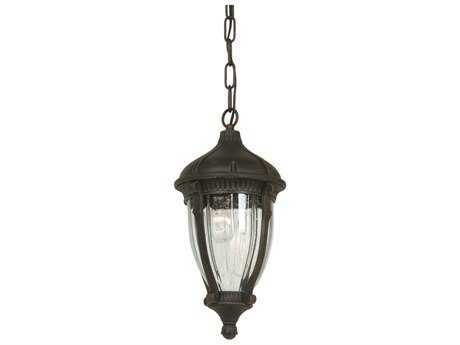 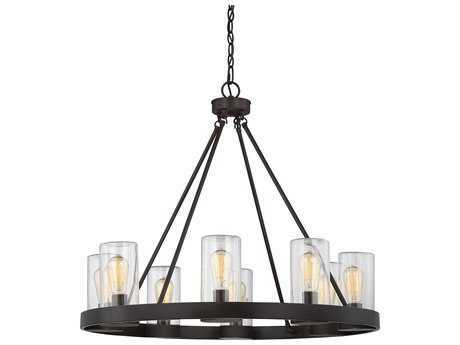 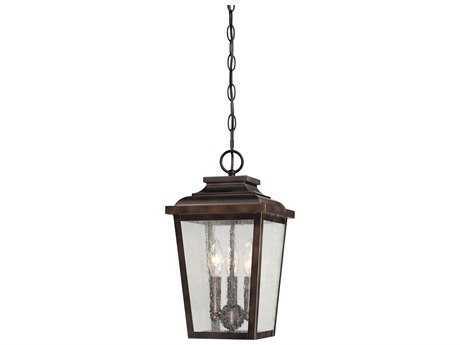 These type of outdoor hanging pendants are best suited to illuminate large entertaining spaces such as an outdoor dining set area. 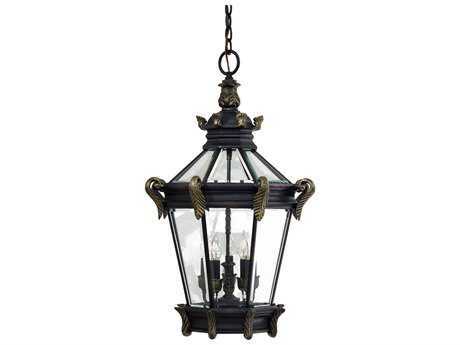 Browse through PatioLicing’s comprehensive selection where you can narrow search according to size, finish, style, and even price point. 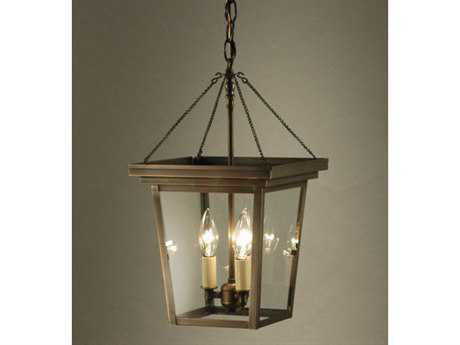 Hanging overhead lighting brings a distinctive, alluring appeal with its elegant and graceful profile. 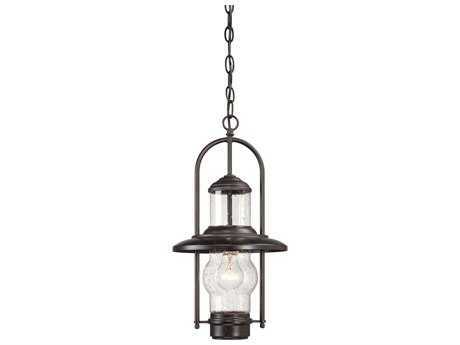 The stylish addition can add a distinct ambiance to outdoor spaces that brings aesthetic and functional value to an outdoor space. 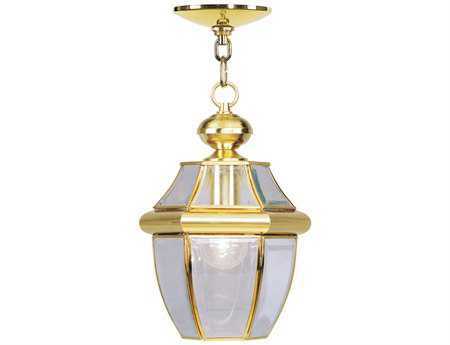 Because of their position overhead, overhead lighting provides sufficient illumination from above that is not obstructive, making them appealing in compact spaces, such as enclosed porches. 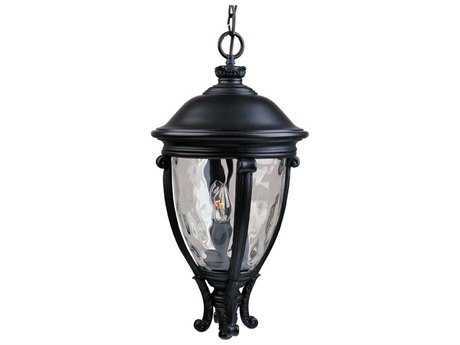 Find stylish options available on PatioLiving by the best brands in outdoor lighting including Savoy House, Feiss, and Vaxcel.